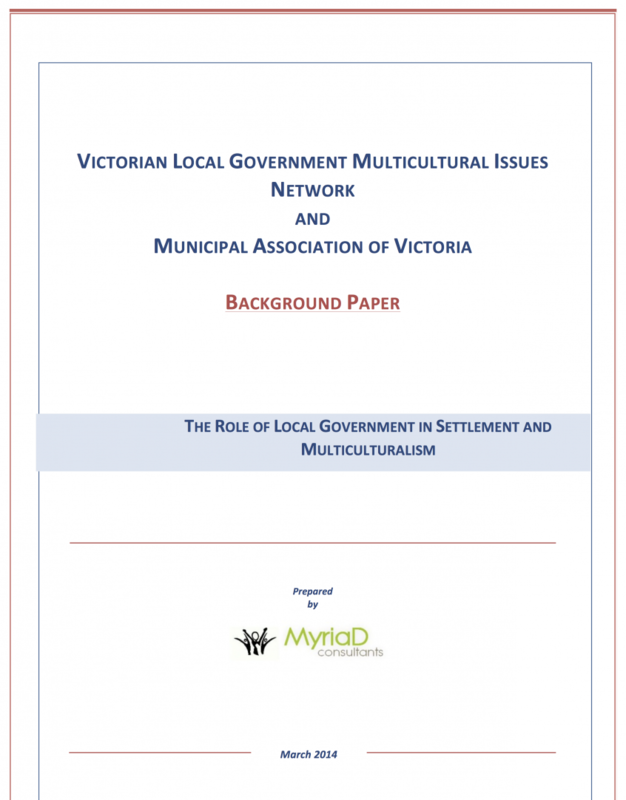 This report has been produced by MyriaD Consultants on the request of the Victorian Local Government Multicultural Issues Network (VLGMIN) and the Municipal Association of Victoria (MAV). The contents of this report were current as at March 2014. Please note that some content may be out of date given significant changes within the sector over the last three years.